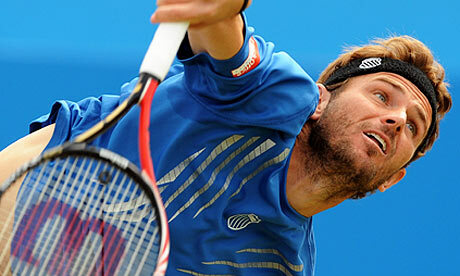 Home betting favourite tennis Which ATP players are the most reliable favourites? Which ATP players are the most reliable favourites? In the last post (available here), we looked at how certain players perform as favourites on the WTA tour. This time, we shall perform similar analysis on the ATP tour. We shall look at who the most reliable favourites are and who are the least reliable. Another aspect that will be interesting is to try and make some comparisons with the findings for the WTA. Finally, I shall look slightly more in-depth at some of the possible reasons for the disparities. Moving straight into the figures, the most profitable favourite over the past twelve months in the ATP is the American, Mardy Fish, showing returns of 24.2% on stakes. However, due to a heart condition, he has only played a total of 16 matches during this period. While we should not discount him, the size of the sample must generate a few doubts. This can be backed up when we see that over his last 50 matches, this return drops significantly, actually becoming negative. Thus, while Mardy Fish does stand out as the top returning favourite, there must be an asterisk beside his name. Discounting him for now, the new leader is Martin Klizan. The Slovakian had an excellent year and shows a highly impressive 24.0% return on stakes. The top 11 favourites are shown in the table below. Mardy Fish has been included, but an extra player has been added due to the small sample size for the American. Between them, these 11 players played a total of 418 matches as a favourite over the past twelve months. In that time, if you had staked £10 on every match, you would have staked a total of £4,180. On these stakes, you would have seen a profit of £707.47, working out at a return of 16.9%. There are a number of interesting things that we can take out of this data. The first is the slightly surprising appearance of both Ernests Gulbis and Bernard Tomic. Both of these are hugely talented, but often erratic players. On their day, they are seen as capable of challenging the very best. They have both had issues off the court and their dedication to the game has been questioned. However, the data would suggest that both players are actually very reliable and profitable favourites. Bernard Tomic is a very solid in virtually every range of odds as a favourite – he would have returned a profit as a 1.20 or shorter favourite, between 1.2 and 1.5, and between 1.5 and 2.0. 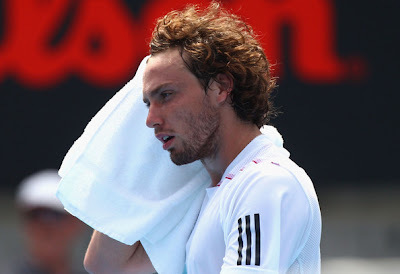 Gulbis seems to rely more on his returns as a bigger favourite, suggesting that there may be a hint of complacency or inconsistency when he is strongly fancied to win a match. The style and profiles of those two players mean that they are often very popular with punters. It is rarely a surprise to see them shortening in the hours before the match begins. Despite all this, they are still returning a profit. Sam Querrey and Brian Baker both had excellent years off the back of injury problems. Sam Querrey had fallen out of the top 100 at the start of the year, but demonstrated that he is still a talented player as he rose back up the rankings. Brian Baker was the Cinderella story of 2012 as he returned after many years off the tour to reach an ATP final in Nice and enjoyed several good runs in the Grand Slam tournaments. Given the presence of both these players in the list, maybe there could be a suggestion that returning players are priced higher than they should be? This could be an area that needs more work. In terms of the top 10 players in the world rankings, three would have returned a loss over the past 12 months (Murray, Federer and Tipsarevic), while the other seven would have returned profits varying from 0.3% (Djokovic) up to 9.0% (Gasquet). Between them, these 10 players played a total of 307 matches as a favourite over the past 12 months. In that time, if you had staked £10 on every match, you would have staked a total of £3,070. On these stakes, you would have lost £532.96, a huge 17.3% loss. 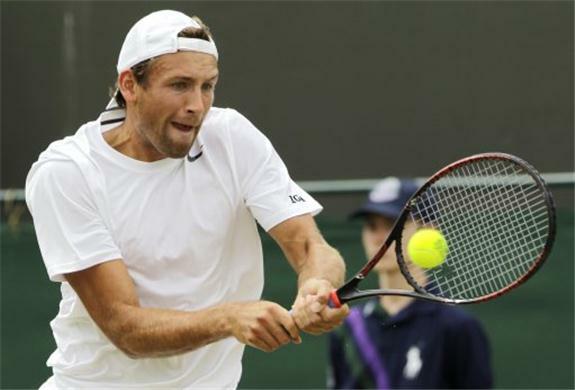 Lukasz Kubot has a truly awful record as a favourite over the past 12 months. Extending this out to his last 50 matches, he still shows a return of -12.0%, suggesting that he has struggled as a favourite for an extended period of time. Interestingly, unlike with the ladies, it does not necessarily seem to be the popular public players that appear in this list. The likes of Alejandro Falla, Lukasz Kubot and Edouard Roger-Vasselin are hardly household names. David Goffin and Gilles Muller are both players that have enjoyed a good run in a Grand Slam in recent years – Goffin with his 4th round run at Roland Garros last year and Muller has reached the 4th round and the quarter-finals of the US Open on separate occasions. Whether they are still overvalued based on punters’ recollections of these runs could help to explain this. Similarly, Viktor Troicki enjoyed a good run following Serbia’s victory in the Davis Cup – a run that has petered out in recent times. As with the up-and-coming American ladies, Ryan Harrison is a similar example. Hugely built up by the American media, he has gained a reputation that seems to be a mismatch with his actual current ability. As a result, he is often overrated in the betting. Again, in the future, we shall look at how players perform as outsiders. As with the ladies, this should give us an idea of whether certain players are simply overvalued regardless of odds, or which players enjoy the freedom of being the outsider and not having the pressure of being the favourite on their shoulders.